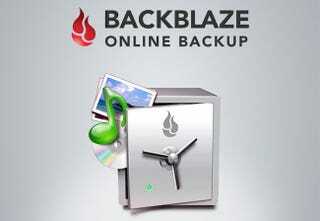 Lifehacker readers can now get 50% off 1 year of unlimited online backup from Backblaze. For just $24.99, you can get unlimited, automatic backup from one of the best online backup services on the market. Backblaze is famous for being especially easy to setup, but with all the competition in the cloud storage space, it's still high praise to be included in Lifehacker's best of list. Backblaze runs in the background, continuously (and automatically) backing up all your files and data, so you can compute carefree. With this offer, you can get 50% off 1 year of Backblaze. If you decide to opt in after that year is up, it's just $5/month.